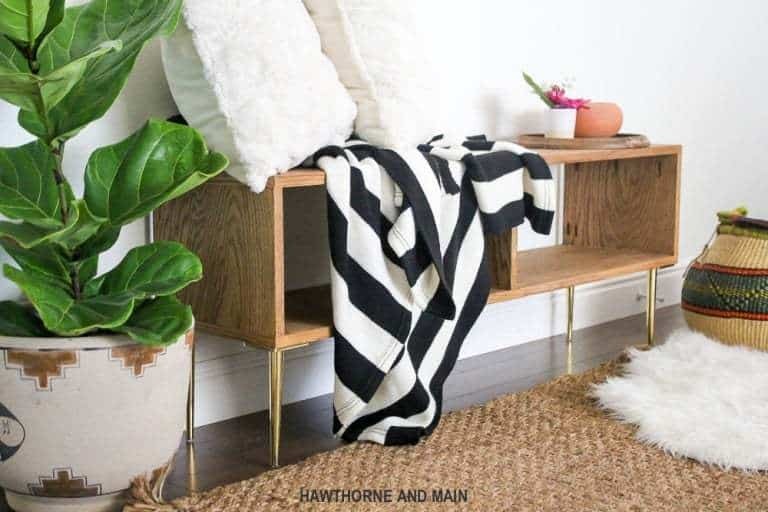 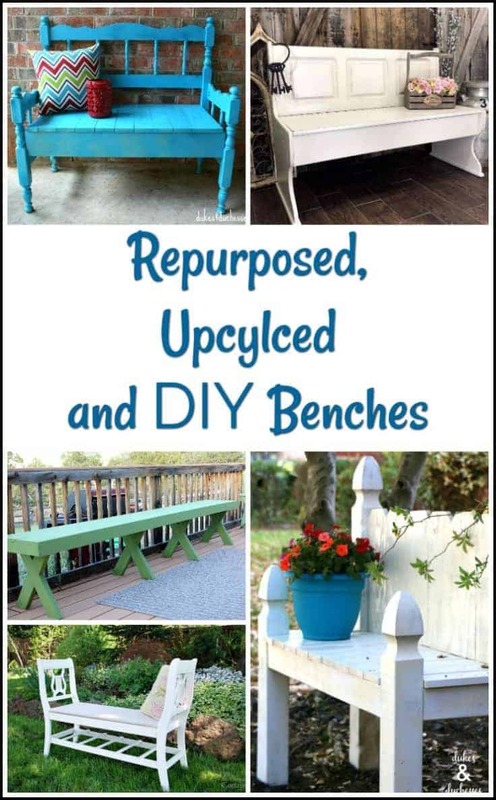 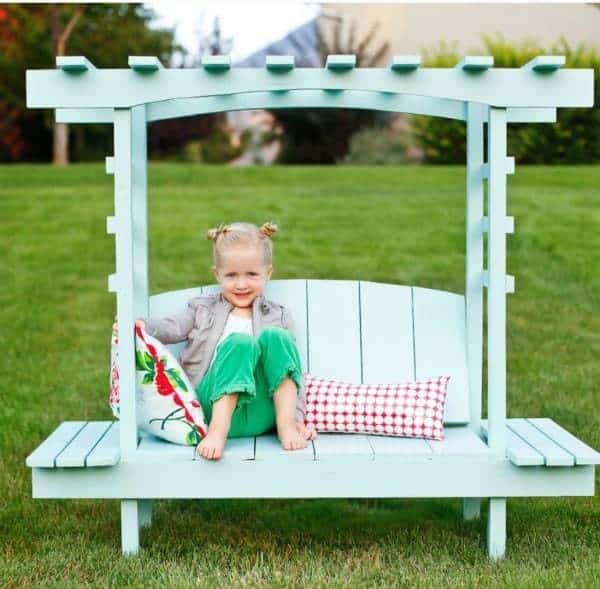 Build your own bench, upcycle an old headboard or if you prefer painted furniture this collection of repurposed, upcycled & DIY benches has it all. 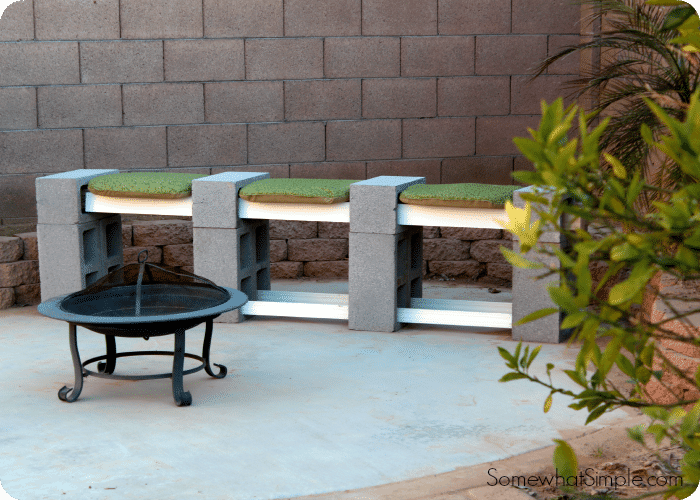 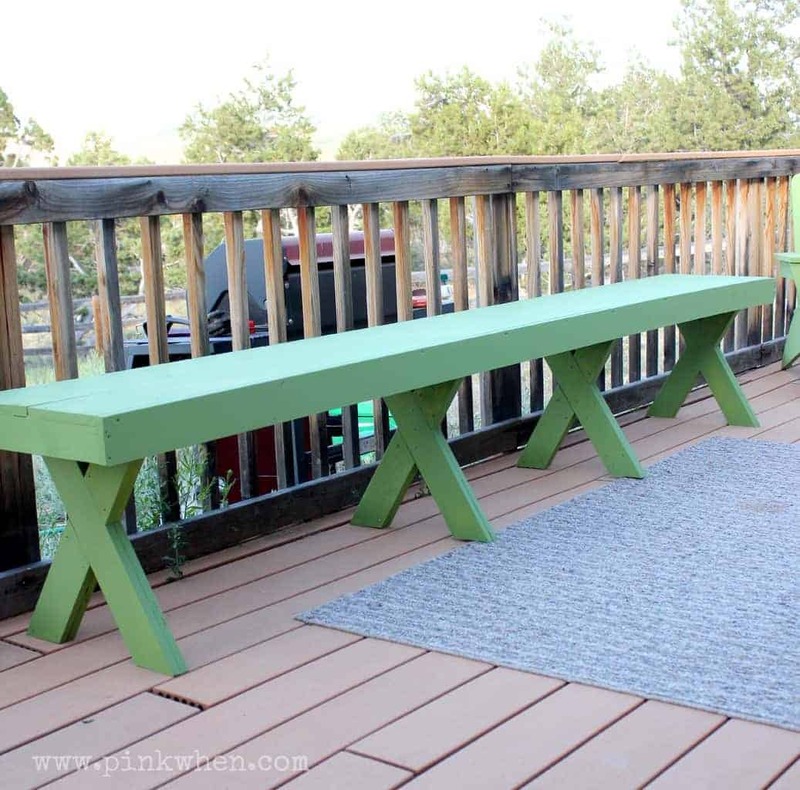 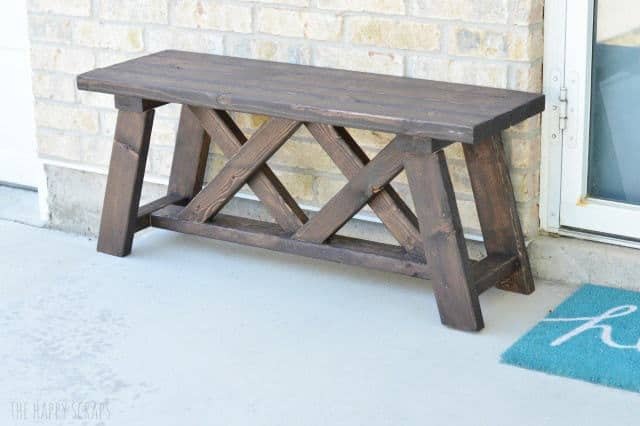 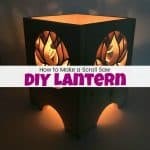 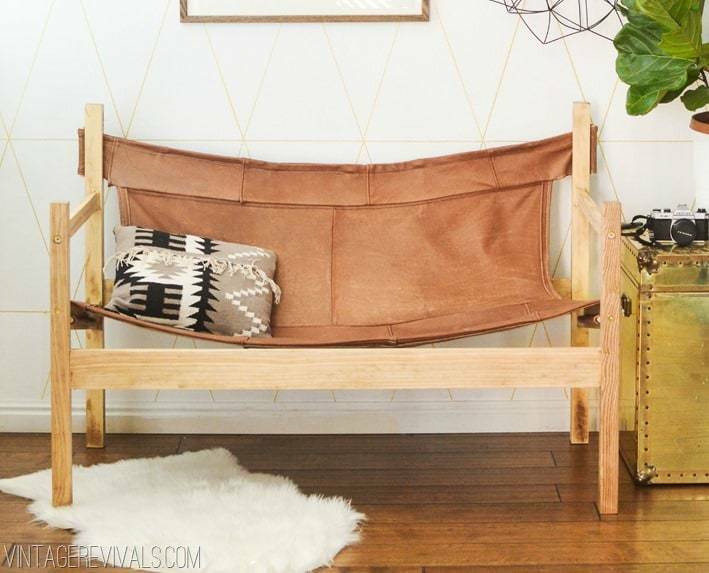 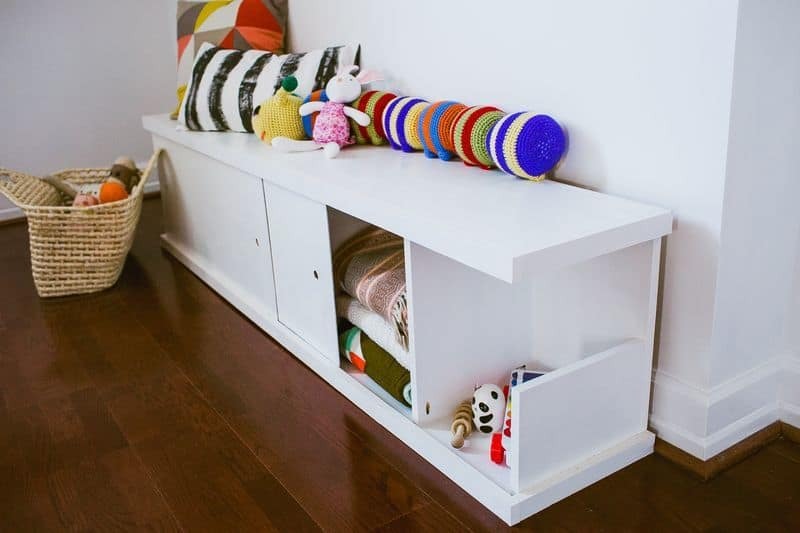 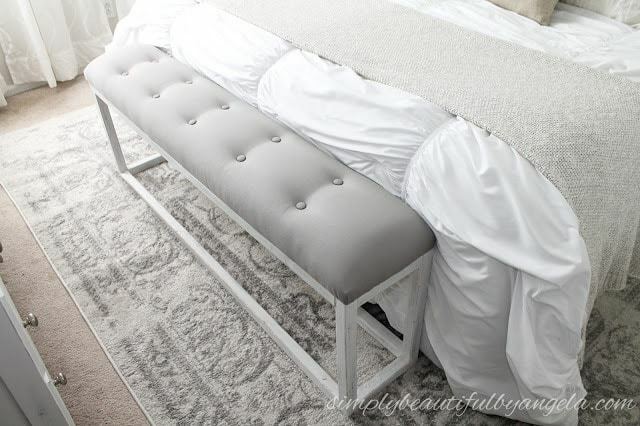 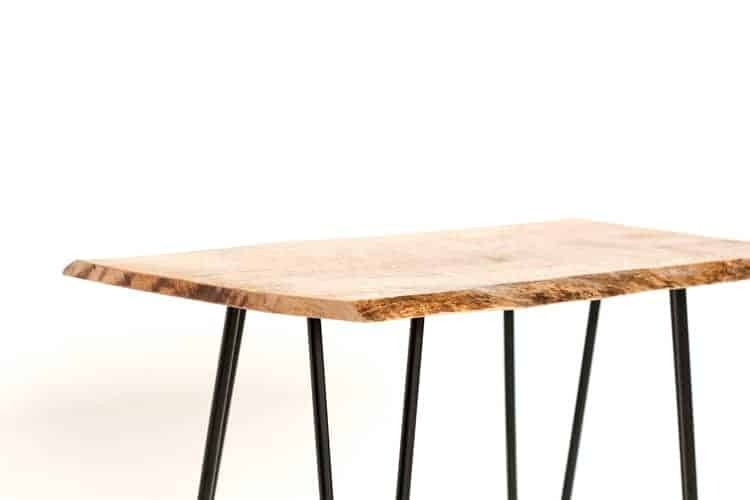 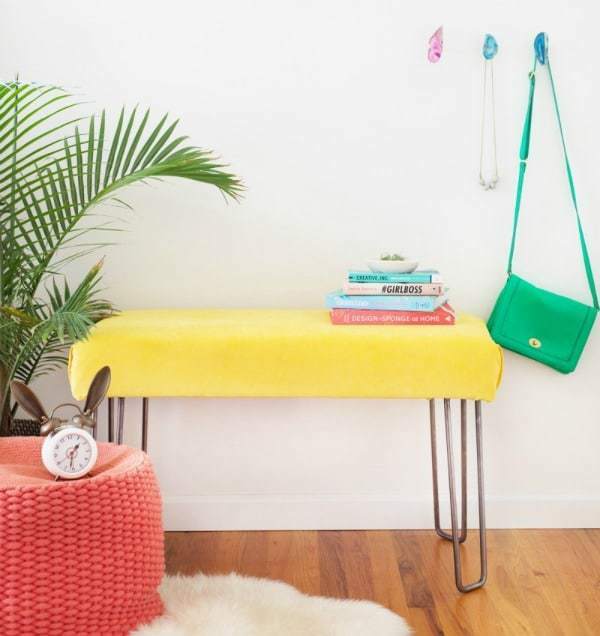 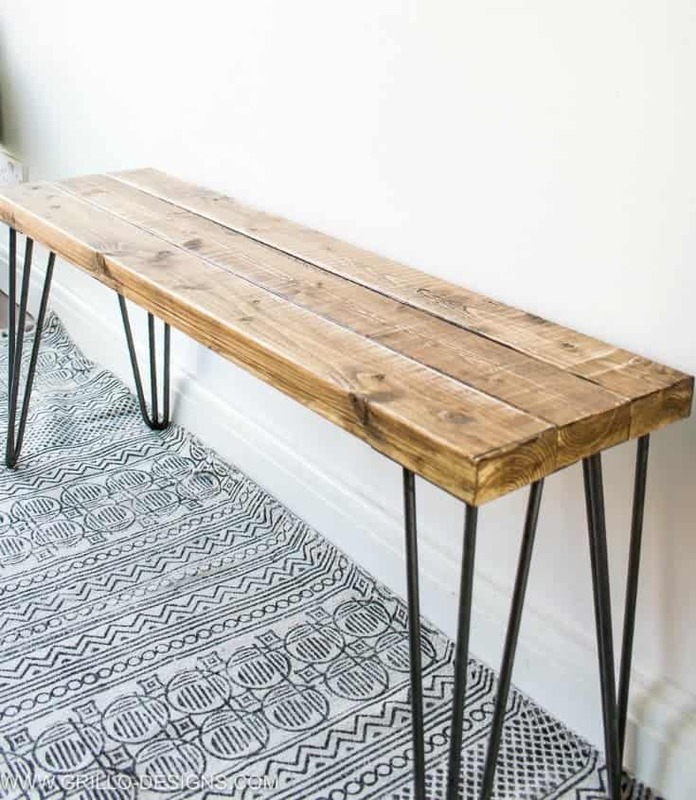 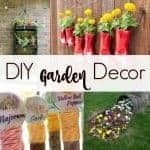 Looking for DIY benches to bring something unique and creative into your home? 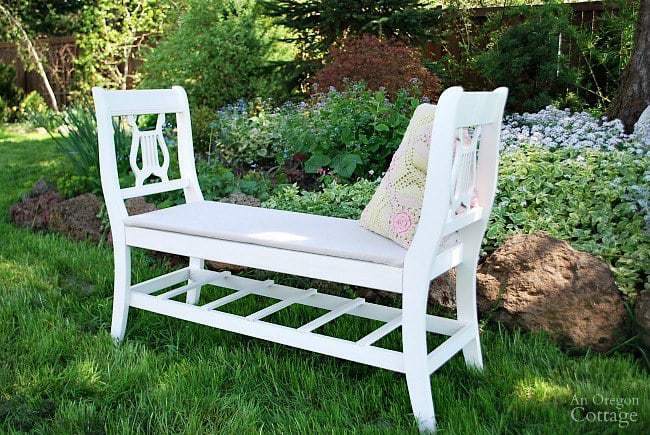 Are you handy enough to build a bench from scratch? 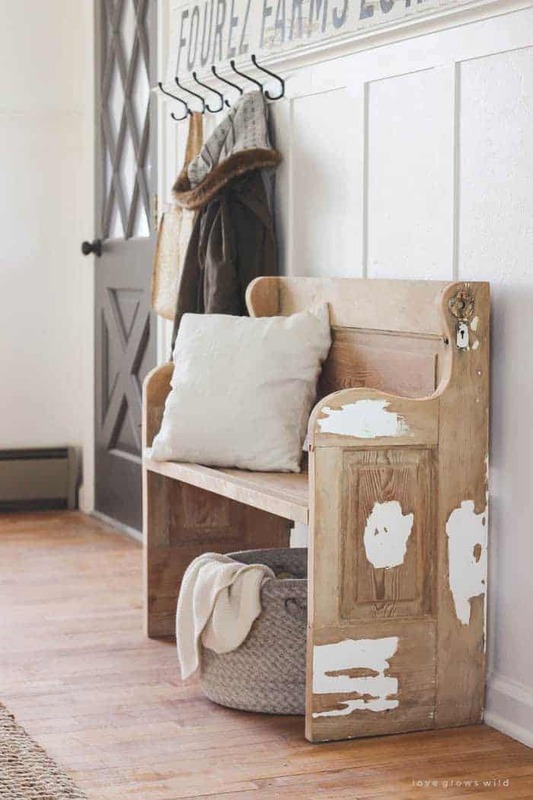 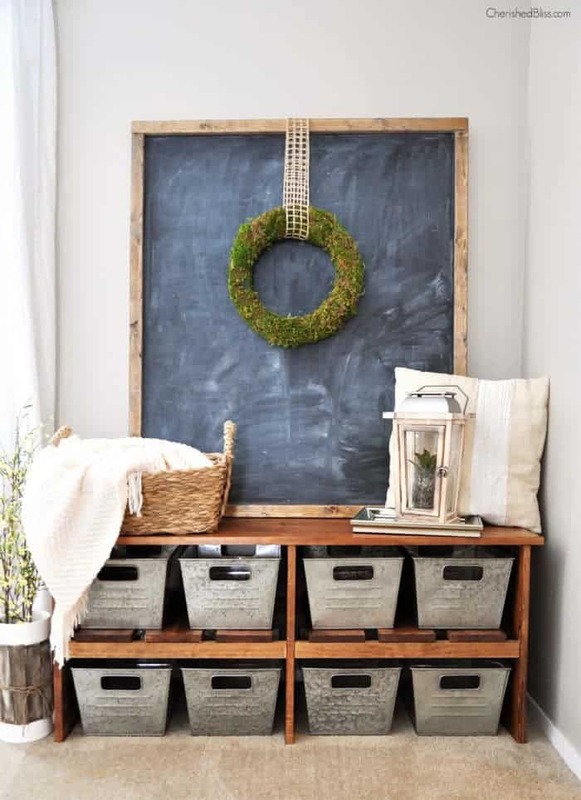 Maybe you have an old bed or door that you would like to upcycle into a bench. 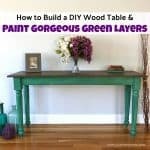 Personally, I’m more a painted furniture gal myself. 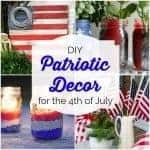 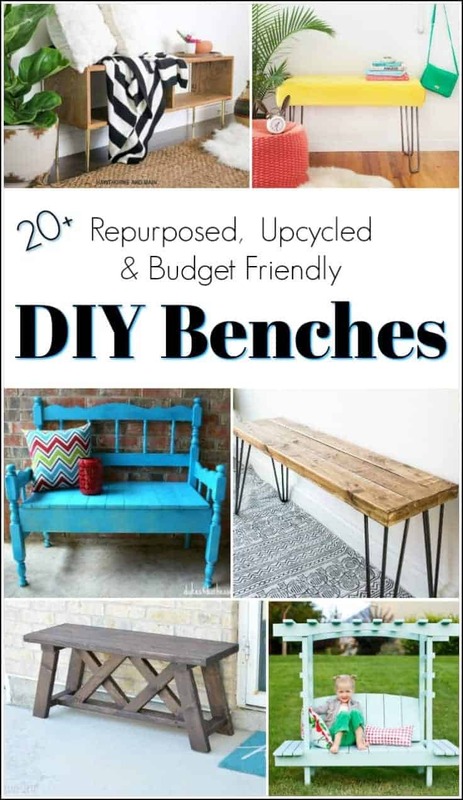 Regardless of your preference I’ve got a wide selection of repurposed, upcycled, budget-friendly and DIY benches to share with you. 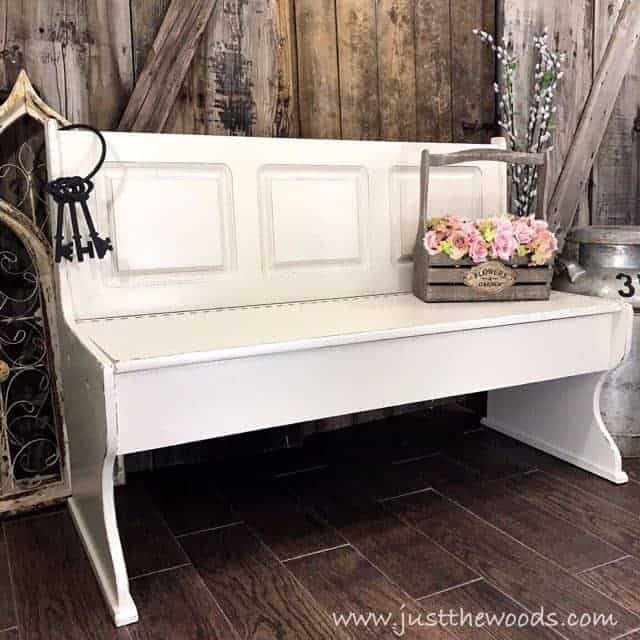 This farmhouse style bench was a bit too orange in the ‘before’ stage. 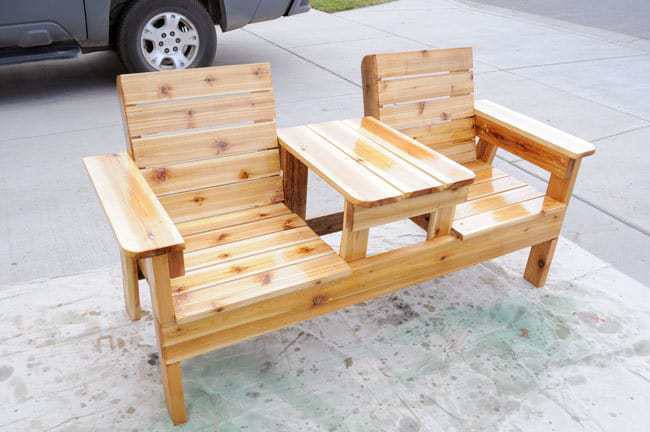 I also refer to it as a boomerang bench because it started with me, then it left, then it came back and left again. 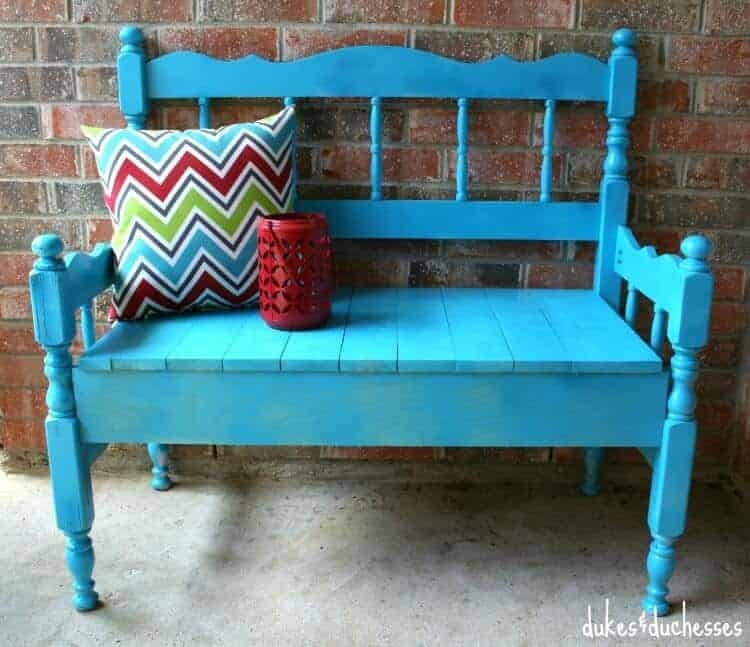 It certainly wore out its welcome in my home but is doing great in its forever home. 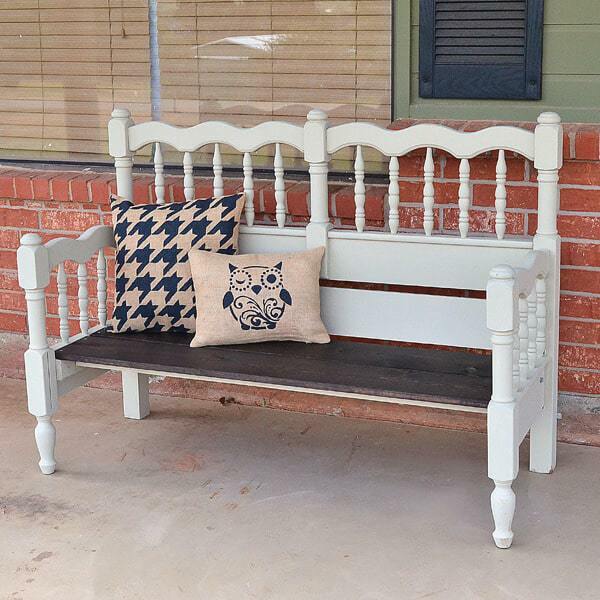 Check out the full makeover here: Farmhouse Style Bench with Storage. 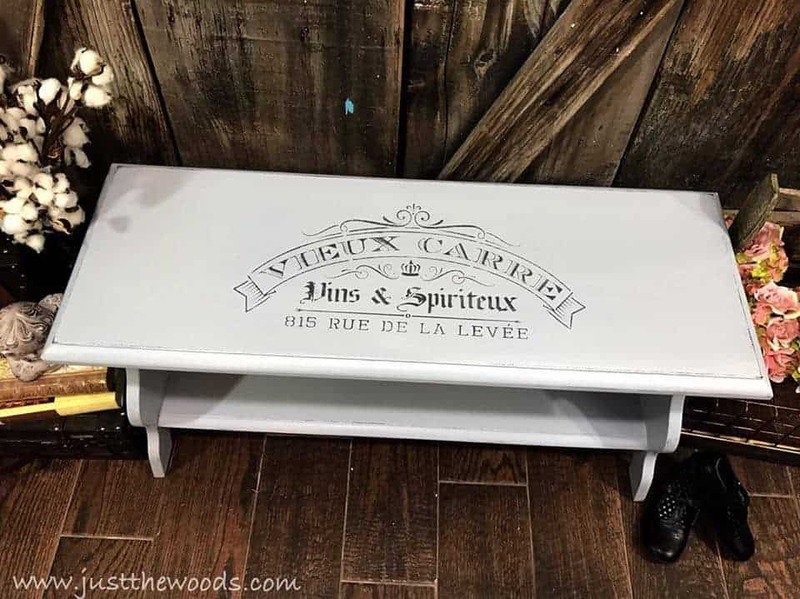 If you’d prefer to mix things up a bit with DIY bench builds from scratch or creative upcycles then check out these DIY benches from a few of my fellow bloggers. 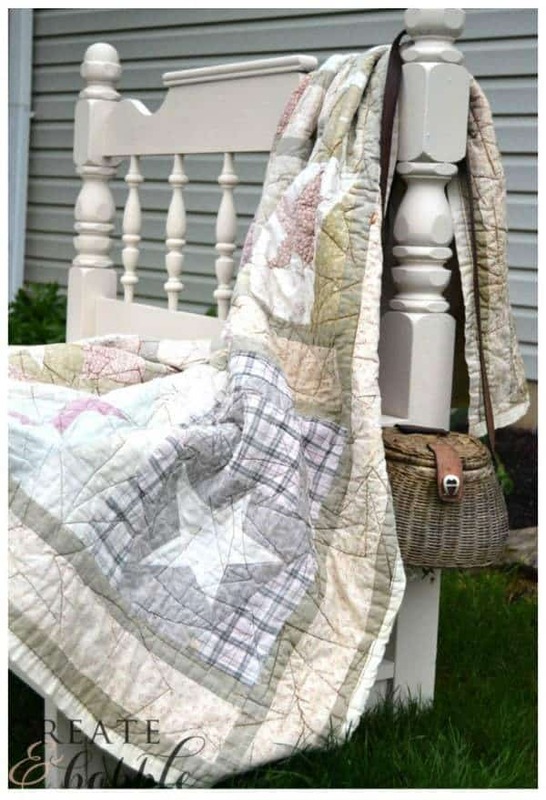 Make sure to click over to see their projects and PIN from the source. 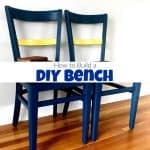 Ready to tackle your own DIY bench project? 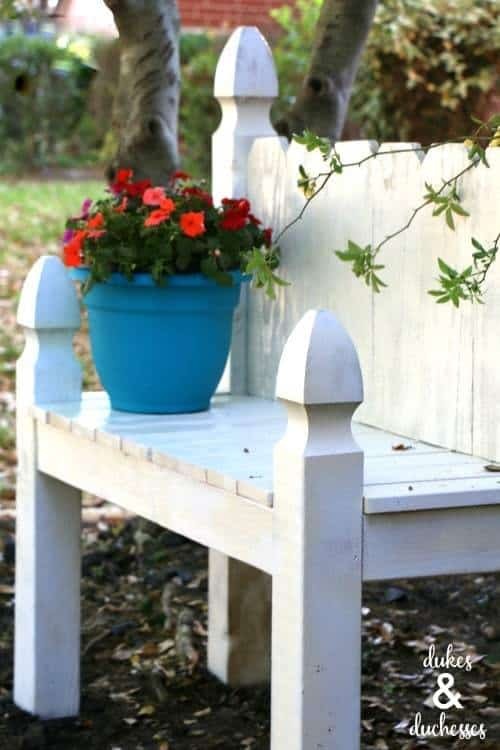 Make sure to check out Dixie Belle for gorgeous paint colors and stains! 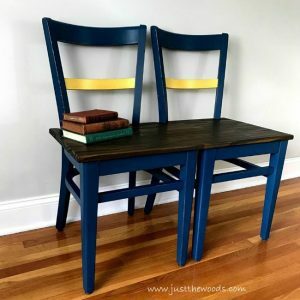 I am in love with them all! 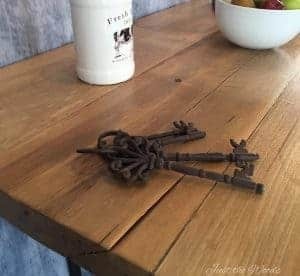 Each one so special and unique.